The City of Paris has a large number of temporary exhibitions on offer at museums, monuments and in public places. The exhibits vary from classic works of contemporary design to quirky performances and installations. 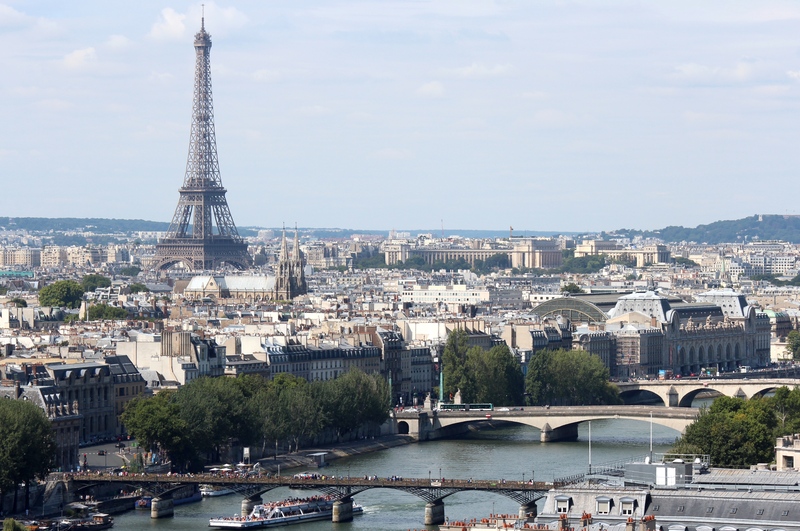 There are also some remarkable free outdoor-exhibitions, for example, at the Champs Elysees, the Luxembourg Gardens, the Seine river banks or the Champ de Mars. This is the inaugural exhibition of a new cultural centre in the 11th arrondissement. The venue is the first of its kind. It projects artworks digitally onto the walls and surfaces, of the former 19th-century foundry, that is now the Atelier des Lumieres. 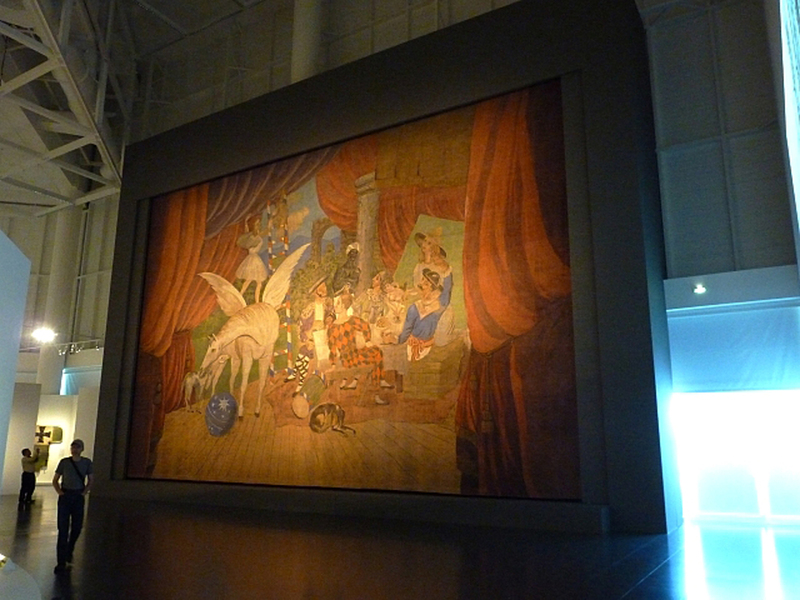 The projection has a surface of more than three thousand square metres and can show a large number of masterpieces. This exhibition is an immersive experience into the world of the Viennese master Gustav Klimt, and the birth of the Viennese Secession. Many works by Egon Schiele are also on display. The exhibition continues until 6th January 2019. The sculptor and painter Alberto Giacometti left behind an extensive body of work, and is well known for his long spindly figures. The exhibition shows over fifty of his sculptures, which are on loan from the Fondation Giacometti. A chronological route through the display shows how Giacometti’s sculptures developed and were influenced by those of other artists of the time, such as Bourdelle, Rodin and Picasso. The exhibition continues until 21st January 2019. This fascinating exhibition focuses on the works of two young prodigies, who left a significant mark on the art world, despite their brief careers and short lives. Two separate circuits show the respective life works of Egon Schiele in Vienna around 1900, and the 1980s New York City artist Jean-Michel Basquiat. The exhibition conveys the intensity of their creations and the driving force behind them. It continues until 14th January 2019. This extensive exhibition is dedicated to the Spanish surrealist painter and sculptor, Joan Miró. More than 250 of his works, among them sculptures, ceramics, drawing and paintings, provide a fascinating retrospective of Miró’s continually changing style and show his influences from the poetry of Andre Breton and Jacques Prevert. This is a fantastic exhibition, which can easily be visited more than once. It continues until 4th February 2019. This is an exceptional team effort by the Orsay, and the Picasso Museums, to show the entire work of Pablo Picasso from 1900 to 1906, a critical period, which has never been covered in one exhibition before. 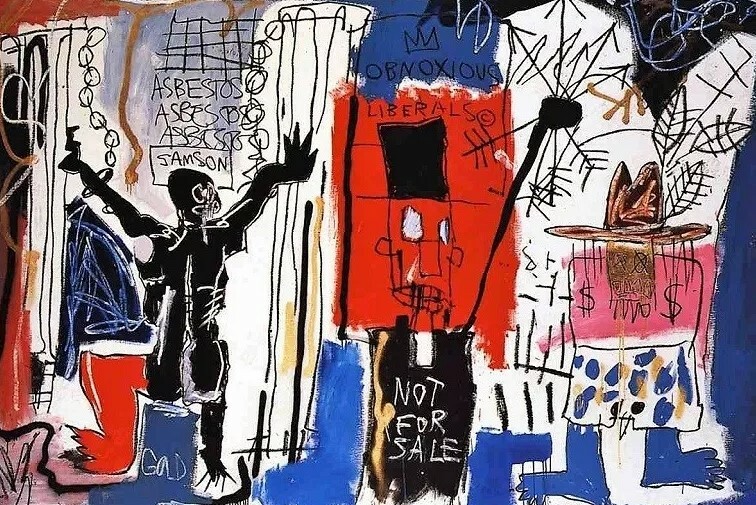 It allows a different perspective, and a more in-depth exploration, int in Vienna around 1900, and the 1980s New York City artist Jean-Michel Basquiat. The exhibition conveys the intensity of their creations and the driving force behind them. It continues until 14th January 2019. This is an exceptional team effort by the Orsay, and the Picasso Museums, to show the entire work of Pablo Picasso from 1900 to 1906, a critical period, which has never been covered in one exhibition before. It allows a different perspective, and a more in-depth exploration, into Picasso’s outstanding body of work. The show continues until 6th January 2019.